As I embark on writing my first article of 2018, I have just completed penning my Goals for 2018 and one of my set Goal for 2018 is to acquire a new skill set. I am still contemplating as to what that skill set would be but it is going to be definitely related to Entrepreneurship & Leadership. Have you ever wondered why we follow our leaders whether in the political environment or in the Corporate world? This question has been lingering for quite some time and after discussing with couple of corporate leaders and post researching on topic I have arrived at 3 points which I would explain by giving case studies.. (My case studies are inspired from Indian subcontinent companies so my followers and friends from outside subcontinent, kindly excuse me but the principle learning behind each case remains valid universally). 1) All Leaders are good Readers. Post talking to a couple of CEOs, high-level corporate leaders, I found out that each one of them is an avid reader and have set a goal for themselves to read minimum 2 books a month on an average. This habit of reading books have made them good STORYTELLERS. They find CAUSE or Pain in their organization or in the life of their customers and address it with solutions & insights that become inspiring for the workers/employees to believe their leaders. 2) “CAUSE” is nothing but knowing and communicating “WHY “. Leaders inspire employees or workers not by showing monetary benefits but making them buy the fact as to WHY organization is producing goods or what’s their main objective or cause? Why are they producing goods or selling services to their clients or customers? What benefit would it bring to their customers? What is their main core reason for doing business i.e. SOUL of business? Leaders communicate their core purpose in form of an engaging story which inspires and make employees/workers believe in their leadership and align their objectives with organizational objectives. This forms the core underlying principle & theory of Robert Kaplan’s Balance scorecard for businesses. 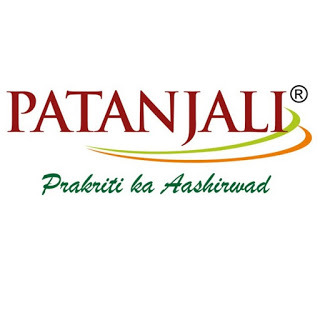 We (Indians) would know the meteoric rise of Patanjali brand & its brand promise for PURITY. Brand Patanjali uses the old philosophy of Eat Pure, Drink Pure to Stay Healthy. They saw a pain in the marketplace wherein goodness of foods were comprised and market share was monopolized by MNCs. The brand used this CAUSE coupled with MADE IN INDIA mission started producing products which are either close to natural or close to Purity aspect. (I am not getting into discussion pertaining Organic or completely natural stuff as the brand is not promising on 100% natural idea). Today the group operates in all major categories i.e. Health, Beauty, oils, rice, wheat, dental care almost all the product categories that one could think about. I always wonder their storytelling is so compelling that even graduates from Harvard University are eager to join them and work with them for lesser monetary benefits. Western universities are covering their success in form of case studies. I am a great follower and biggest fan of Jack Ma and his ideation. His Meteoric rise from an English teacher to biggest retailer in the world is something one has to acknowledge and learn from him. He has been a living example as to why one should NEVER GIVE UP. He has seen more failures than anyone of us. Alibaba.com is not into business for making money but their cause is to show World that Chinese are too intellectually strong & can create world’s biggest retail company from China and beat Silicon Valley hands down. Today, Alibaba.com is world’s biggest retailer without owning a single inventory. They created Disruption in the industry and changed the way we do business. I would be writing down another article wherein I would explain concepts of Business Profitability and Scalability and how these two things are related to WHY/ Cause behind company’s existence. I would close my article with my single take-out learning i.e. “EVEN BRILLIANT IDEA NEEDS COMPELLING STORY & CAUSE”.